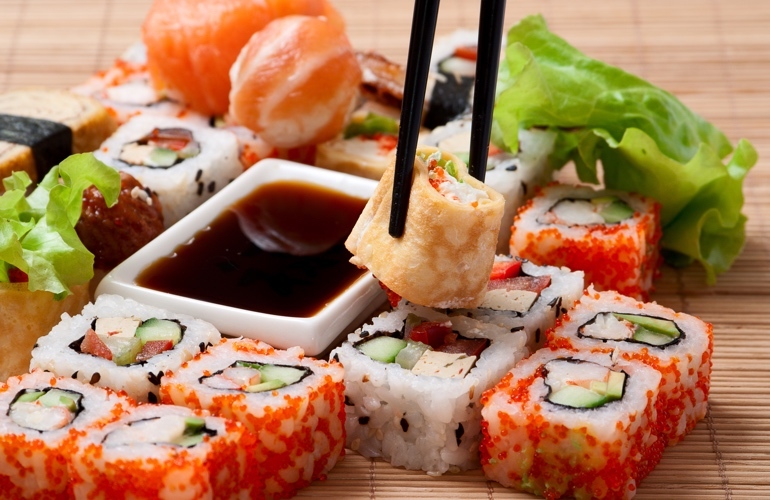 Kimono means “something one wears” in japanese. The Kimono has been used by Japanese people for several hundred years. 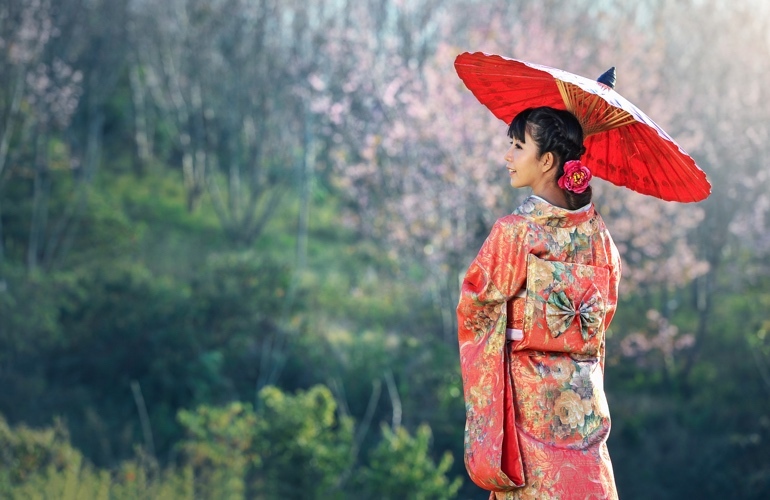 Today, due to international integration and the nature of life, the kimono is no longer used every day as it used to be, however it is frequently used in festivals, parties or new year's day. The special feature of the Kimono is that it comes in only one size, the wearer only needs to tighten it with a belt made of silk. In addition, putting on a kimono is just very time consuming , and almost impossible to do it by your own. The kimono wearer must wear a Wooden Clogs and white socks. Japan is a country of drinkers and one of the most traditional drinks is green tea. 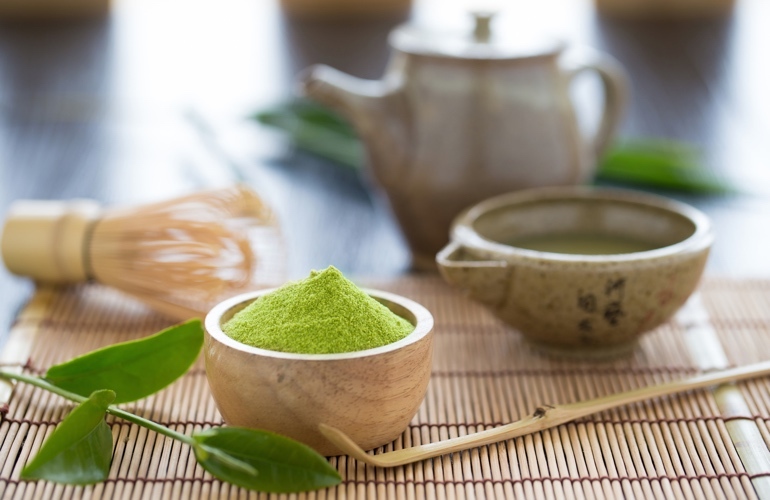 In fact, there are a lot of different words for green tea in Japan, but one of the most common is matcha, which refers to the finely ground, powdered tea that is used in Japanese tea ceremonies. The Japanese tea ceremony (called Chanoyu, Sado or Ocha in Japanese) is a choreographic ritual of preparing and serving Matcha together with traditional Japanese sweets. Preparing tea during this ceremony means pouring all one's attention into the predefined movements. It requires adaptability since every occasion and different season calls for special and unique preparations, choice of utensils or flower arrangements for tea-meeting. Furthermore, one of the main purposes of the tea ceremony is simply enjoying the hospitality of the host in an atmosphere distinct from the fast pace of everyday life. 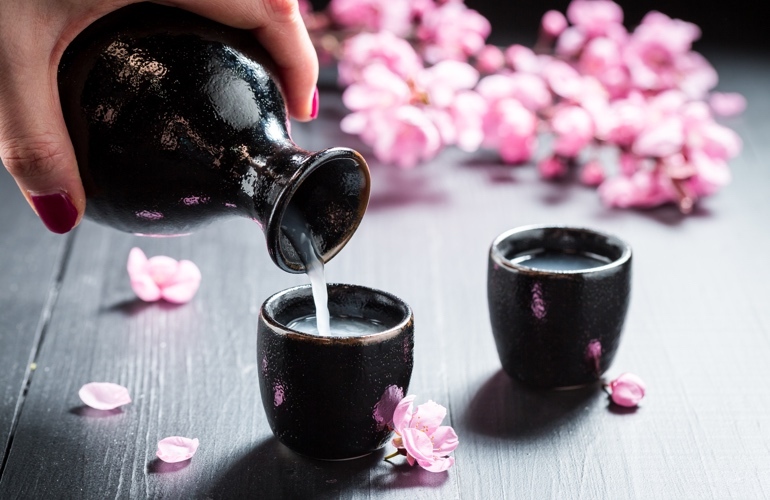 Sake is a traditional low alcohol drink made from rice through various stages of fermentation and that follows a great number of rules. Japaneses will also use different alcohols at different times. In Japanese culture, young people have to pour alcohol for the older people and when someone pours for your sake, you need to keep the glass with one hand and the other hand should be under the cup in order to show courtesy. The salute is an important tradition of the Japanese. For them, ritual is one of the top priorities. 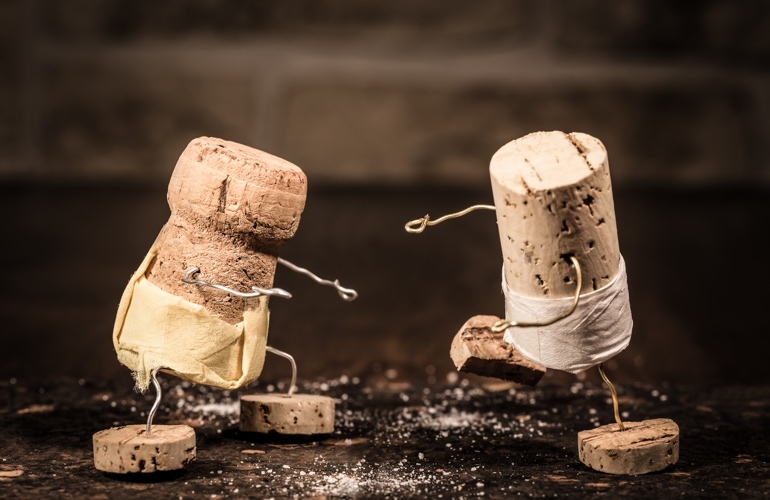 The way a person judges a person depends not only on the way he speaks or his clothing but on his attitude, gesture, and manner of greeting. Saikeirei: bent down very slowly is the highest form of showing deep respect and it is often used before the altar in the Shrine, temple of Buddhism, before the national flag, or before the Emperor. Normal bow: body bent to 20-30 degrees and hold for 2-3 seconds. If you are sitting on the floor that you would like to salute, put your hands on the floor, palms folded 10-20cm apart, head lowered 10-15cm from the floor. Bow slightly: body and head only slightly stooped for a second, with two hands to the sides. Sumo is the pride of Japanese sport and a symbol of Japanese cultural quintessence. It is a ritual lasted over 1000 years and originated as a religious ceremony to show respect to Shinto deities. Before each match, the wrestlers often perform throwing salt ritual to dispel the demons and prove themselves innocent. Some of the wrestlers are very good at expressing themselves by throwing salt up to the ceiling. Moreover, they also pray for a safe game. The salt is also good as a disinfectant for their scratches. Seiza is a traditional Japanese way of sitting on the Tatami floor (Tatami- type of mat used as a flooring material in traditional Japanese-style rooms). 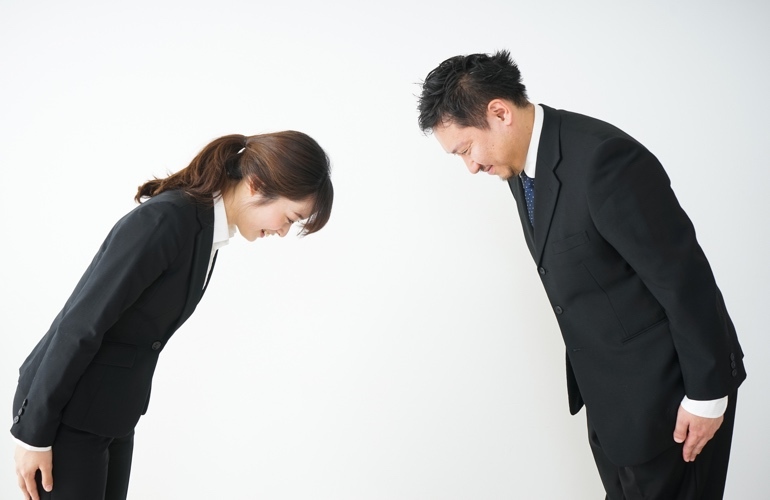 It is recognized as the most standard style of sitting of the Japanese. In essence, sitting seiza is a combination of meditation and sitting posture from the Edo period. This type of sitting is also a challenge for many people. Its purpose is to remind people to always live meaningful, humble and self-restraint in every situation. The loincloth is called Fundoshi in Japanese, this is a kind of men's underwear from the old days. However, today, people still wear the loincloth especially in festivals and also for the sumo matches.